Anyone who gets acne is at risk of developing acne scars. A skin condition often associated with teenagers, acne can affect anyone at any stage of life. It is a condition in which hair follicles fill with oil, dead skin cells, and bacteria, resulting in pimples, whiteheads, and blackheads. Large bumps can appear and persist as the body tries to heal, but persistent injury and inflammation can lead to scarring. Without proper treatment, this can become permanent. Pores can become so swollen that the follicle walls breach. If this occurs near the skin surface, lesions generally heal quickly, but if the pore breaks deep in the skin, the surrounding tissue can become infected and healing time may be prolonged. Excess collagen is produced to repair these lesions, but sometimes doesn’t restore the skin to its original smoothness and clarity. If too little collagen is produced, the scars will appear depressed, or as pits in the skin (hypertrophic/keloid scarring). When too much collagen forms, acne scars may be raised (atrophic scarring), as is more common in individuals with darker-colored skin. People with inflammatory acne characterized by cysts and nodules that penetrate deep into the skin. It often looks reddish and swollen and can be very painful. Prolonged inflammatory acne; the longer one has it or delays treatment, the higher the risk of developing scars that become permanent. Someone who pops acne blemishes, or squeezes or picks at them, which increases inflammation, which in turn increases the scarring risk. Having a genetically related family member with acne scars; genes are known to play a role in someone’s tendency to develop scarring due to acne. Some people feel these scars affect everyday life and limit their opportunities in life. Fortunately, there are treatment options, some of which are offered by the Laser & Dermatology Institute of California (LDI). But surgery isn’t the only choice you have. Depressed scars may be treated by resurfacing the skin, which can be accomplished via chemical peeling, dermabrasion, and even laser therapy. Deep scars can be treated with skin fillers including collagen or even fat tissue from the person’s own body. Raised scars can be treated using injections or cryosurgery. However, modern techniques are less invasive and include specialized gels as well as laser therapy. Pulsed dye and intense pulsed light lasers (for people with lighter skin), can diminish scars with limited side effects. Treatment can reduce the size and contrast of scars and many of them can even fade until they’re barely noticeable. On your own, you can reduce scarring by avoiding irritation, picking at scars, and sunlight; scars can darken with overexposure to the sun. At LDI, we offer laser and RF treatments and create a unique treatment plan for each patient. Every acne scar treatment is adjusted depending on the person’s skin tone and how they react to lasers. 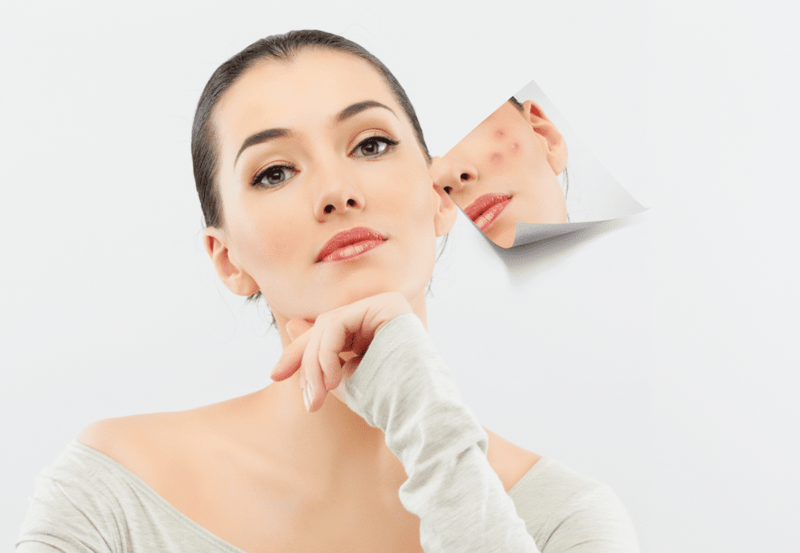 Our treatments are FDA-approved and built on extensive expertise in acne care. For a consultation and to discuss treatment options with one of our board-certified dermatologists, contact one of our three offices—LDI of Los Angeles, LDI of Covina, and LDI of Newport Beach—and benefit from one of the best skin rejuvenation services in Southern California.